Located in St. Louis County real estate, homes for sale in Glendale MO are a part of suburban neighborhood in St. Louis County. Glendale has received many accolades including “Best Place to Live” in 2014 by movoto.com. Glendale residents enjoy one of the lowest crime statistics in Missouri. Glendale’s quiet and park like neighborhoods are located just minutes from downtown St. Louis making Glendale a convenient and great place to live! Glendale MO Real Estate and Glendale MO properties are a perfect addition to the St. Louis Real Estate market. Glendale real estate is mostly made up of older, established homes. These single family homes offer floor plans with 2 bedroom, 3 bedroom or 4 bedroom options. Glendale MO homes for sale range in price from about $200,000 to about $1,300,000. The median home price in 2014 was approximately $400,000. Residents of Glendale enjoy the award winning Recreation Station Aquatic Center that they share with their neighboring city, Kirkwood. The aquatic center provides something for everyone. During the summer you can float down the lazy river, swim laps in the competitive pool, watch the kids enjoy the aquatic playground and waterslides or just relax on the beach at the leisure pool. Home buyers looking in the Glendale area will be pleased with the school choices. The public school system includes both the Kirkwood school system and the Webster Groves school district. Both school districts are sought after and have received academic achievement awards. See Great Schools for up to date ranking on every school in the area. If you are looking for a homes for sale in Glendale MO or you would be interested in buying a home in Glendale, please contact St Louis County real estate expert, Sharon Colona and St. Louis Realty for a professional and simple buying or selling process. Call (636) 397-7653 or email at scolona@stlouisrealty.net. 3 Frederick Lane is an updated Cape Cod home tucked away on a private lot that offers a flexible floor plan with 2 bedrooms and 1 full bathroom on each level. Currently the master bedroom is on the main level. The large family room which is 600+ sf of casual, main floor living space is comfortable and open. A perfect room to relax or entertain in with views of the front and back yards, conveniently adjacent to the living room and dining room plus access to the private patio and attached 2-car garage. The newer kitchen is in the center of this home; highlighted with well-appointed cabinetry, stainless appliances and granite countertops. Hardwood floors throughout, a wood-burning fireplace and built-ins add to the overall charm. The unfinished walk-out basement with 8 ft. ceilings has potential for a recreation room, office, and utility room; still with plenty of storage. 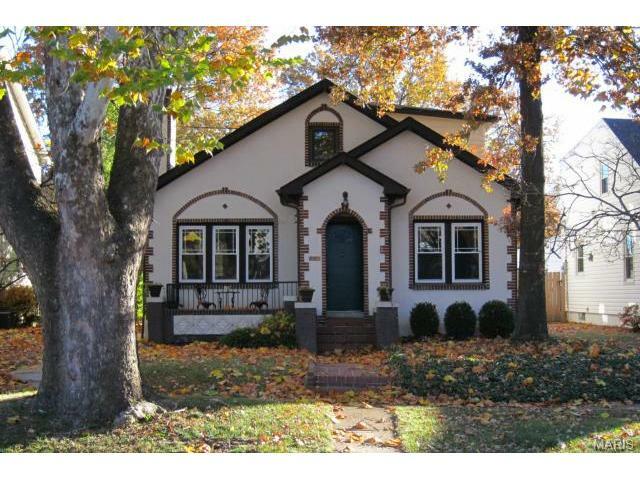 Located in Glendale x2019;s Frederick Lane neighborhood and in the award-winning Webster Groves School District.